To coincide the the summer release of USA Network's mini series Political Animals, we created an ongoing audience experience, expanding the storyworld and launching weekly updates in sync with key plotlines. 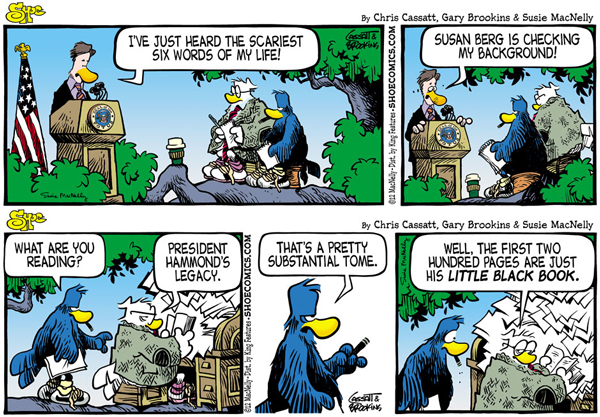 Political Animals centered around a fictional DC newspaper, The Washington Globe, which we brought to life as a fully realized online publication, with journalism from the main characters, commentary, op-ed pieces and an in-depth “Sunday Magazine” section. 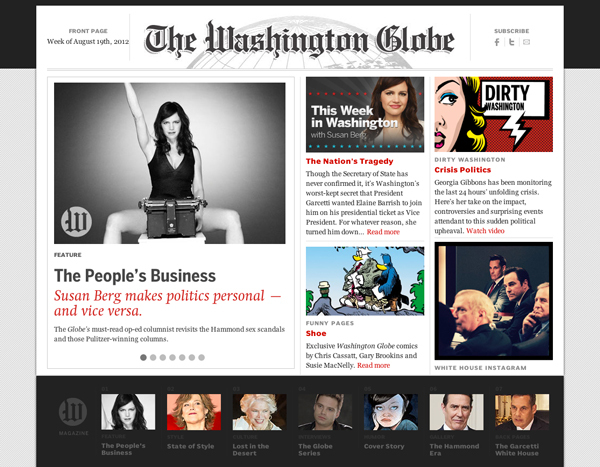 Modelled as a cross between The Washington Post and The New York Times, The Globe featured fully realized multimedia sections, including an in-character interview series with stars such as Sigourney Weaver, Carla Cugino and Ciaran Hinds. These pieces were also released as a series of exclusives on EW.com and USAToday.com. A special monochrome photoset, designed to mimic Life photojournalism, captured the dramatic backstory of the First Family, and emphasized how closely it mirrored the history of real-life political dynasties. We partnered with top political cartoonists to create in-world caricatures and strips, including a series of bygone magazine covers by top illustrator Steve Brodner (see above) and an ongoing comic strip featuring the characters from the award-winning Shoe. We also gave life to secondary show characters, including the spunky junior blogger for the Globe, Georgia Gibbons, with whom we created a weekly gossip videoblog. 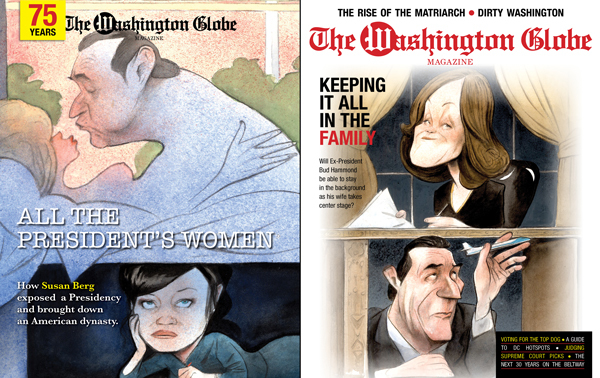 Premiering alongside the opening episode, new editions of The Washington Globe rolled out weekly, with direct commentary and op-ed columns from the main characters on events seen in the show. 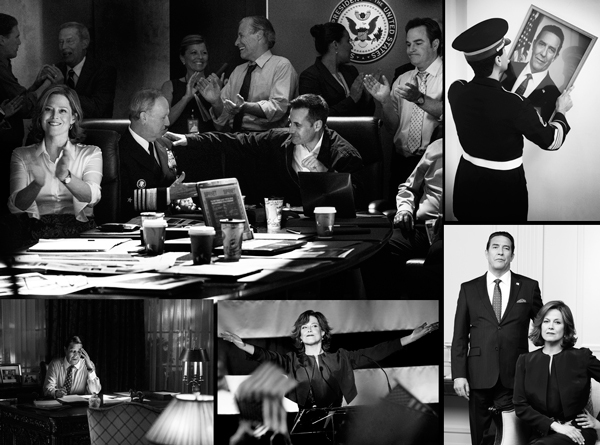 An accompanying daily "White House" Instagram feed documented the inner workings of the fictional administration, providing fans with an immersive dip into the storyworld of Political Animals, generating ongoing social conversation between episodes. All work displayed here remains copyright of its respective owners.